Phil is a Licensed Estate Agent, CEA (REIV) and also has a certificate iv in work place training and assessment. He understands the real estate industry having spent some ten years working with renowned Armadale based agent Marshall White and Company. Whilst continuing that association, he has conducted auctions for a number of agents throughout Victoria.More recently he has begun conducting for the 3 McGrath Estate Agencies in the ACT. 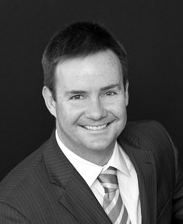 Phil is a member of the Real Estate Institute of Victoria and has been an auction chapter committee member. This vast experience has been the basis from which he has formulated his very successful Auctioneer Assist Coaching Program. This program is highly regarded both within Australia and abroad. In 2006 he joined MGI Corporate Advisors as a Director and holder of the Real Estate License. His experience and background has enabled the company to assist their many clients with complete and independent property advice. Director of Townsend Cromwell Property Trust which buys property in the USA. These properties are predominately homes that were subject to foreclosure there were bought, renovated and now leased and held in the name of a fund. To engage Phil on request for your auction please go to connect tab. Phil is biased, he likes property!… He is often asked what is happening with the market? The response is “which market?, Residential, Commercial, Retail, Rural, or Industrial. Oh, it’s Residential… so is it large family homes, small homes, units, apartments, high rise or low rise or then is Melbourne, Geelong Sydney or Perth..” The fact is that there are many markets and they all perform differently at any one time. You need to do your homework and get the right advice for your situation. The down turn in the global financial situation has opened up a huge opportunity in acquiring US residential property. In 2010, Phil went on a study tour to investigate the situation. The findings were very interesting, it is not without it’s issues and there are many pitfalls to be avoided. Upon his return a fund was established, money raised and several properties were purchased in the name of the fund. He has since returned back to the US to view the properties and to search for new avenues. ” We are very fortunate to have a great team on the ground in the US. This ensures that we avoid the all too common complaints well publicised in relation for overseas purchases of US property.